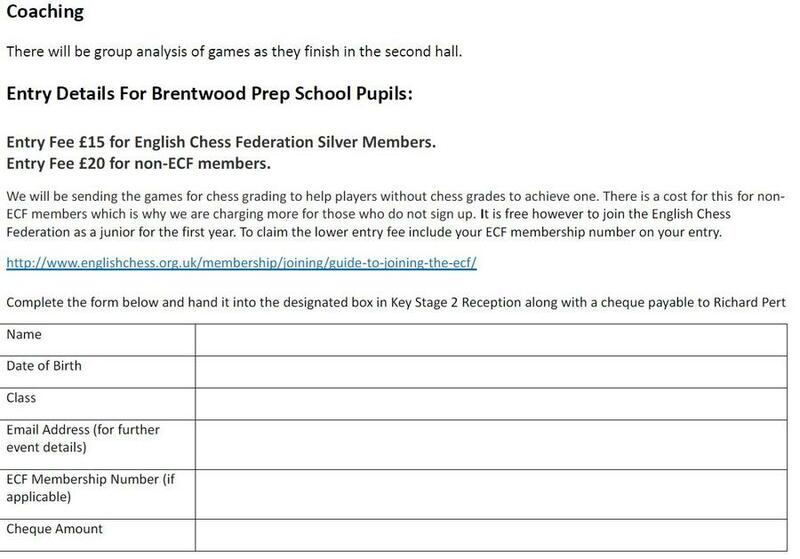 Special thanks to the Essex Junior Chess Association and Brentwood School for their support of this event. 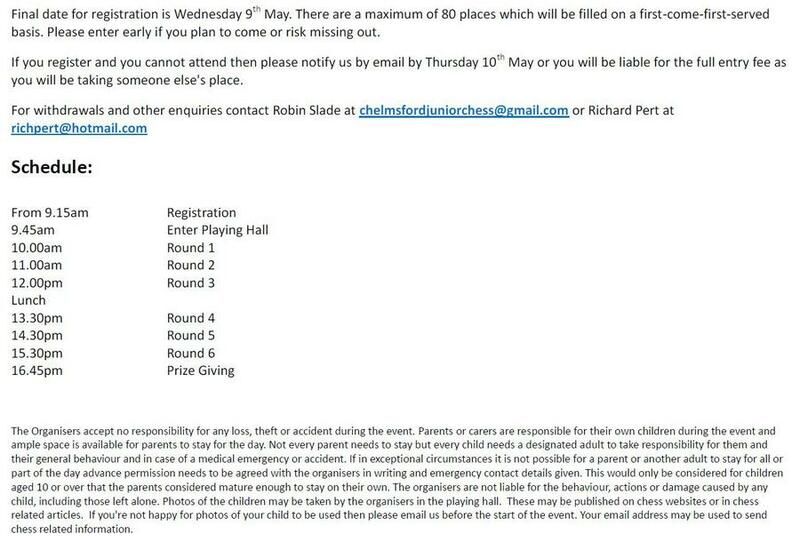 Hosted by International Master Richard Pert with Robin Slade (Organiser of Chelmsford Junior Chess Club). 6 Rounds of ECF Rapidplay Graded Games. 25 minutes per player per game. The event is suitable for players of all levels including beginners. All players will be in Year 7 or below. Please bring a packed lunch. Hot drinks and snacks but not meals will be on sale at the school. Ample car parking is available at the school (enter via Nuffield Hospital entrance). Trophies for the top three places plus the Brentwood Prep School Champion. There will also be other prizes to play for.